Known as the land of smiles, the beautiful islands of Thailand welcome you with a friendly “Sawasdee”. Choosing which of Thailand’s islands to explore can be overwhelming as each island offers something unique and special. Whether you want to party into the wee hours, learn to dive or escape on a romantic, secluded break, you’ll find the perfect island to suit your mood. We reveal 11 of the best islands in Thailand – what to do, how to get there, and where you can stay. One of Thailand’s lesser-known islands, Ko Mak is an undeveloped, hidden treasure. This coconut-scented island is located in the National Marine Park in eastern Thailand, filled with coconut and rubber plantations. 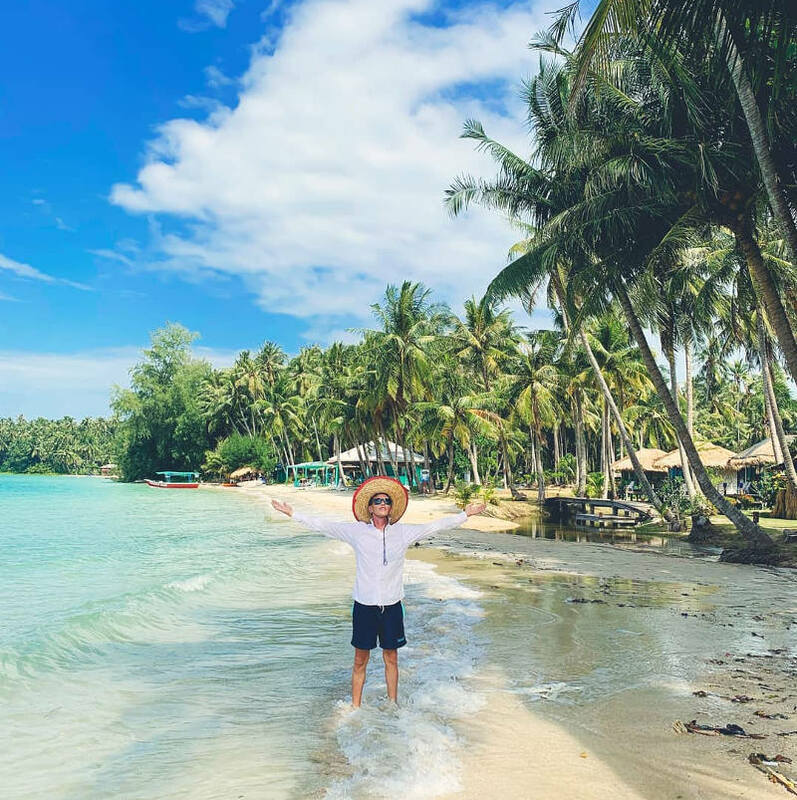 Spend your days lazing on the beach, kayaking along the crystal-clear waters, windsurfing, snorkelling, jungle trekking, topping it all off with traditional Thai massages. Nightlife on Ko Mak consists of swaying in your hammock, beer in hand, watching sunsets disappear from your bungalow. How to get there: You can reach Ko Mak by speedboat from the Laem Ngop pier in Trat. 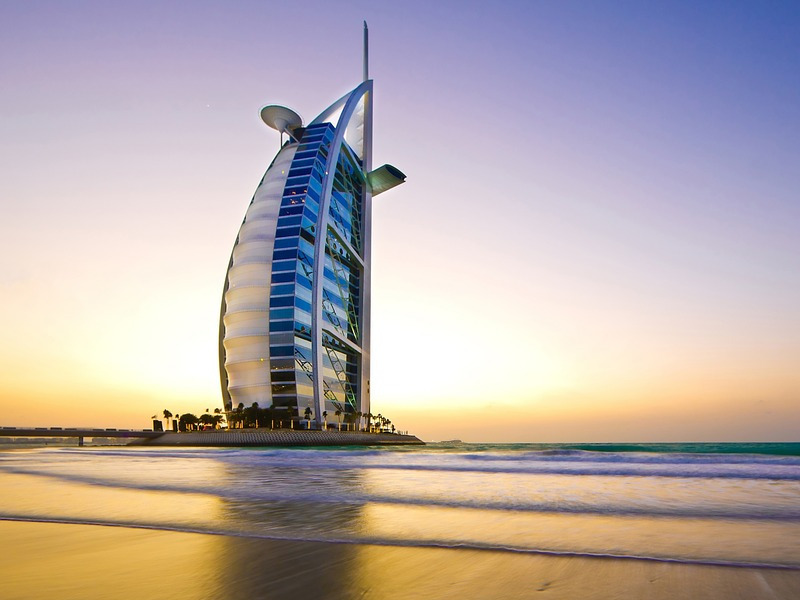 There is a selection of accommodation, from simple beach huts to 4-star beach resorts right on the water. With its silky, dazzling-white beaches fringed with coconut palms, it is no surprise that Ko Samet is one of the best islands in Thailand. Just a stone’s throw from Bangkok, this 6km-long island is a firm favourite with locals, tourists and expats escaping here for a weekend break from Bangkok. Here you can swim, snorkel, windsurf and suntan to your heart’s content – with 14 beaches to choose from! Stroll around the centre of town perusing the souvenir shops, restaurants and bars. Haad Sai Kaew, Ao Hin Khok, and Ao Phai form the island’s most popular beaches with lively cocktail bars and restaurants dotting the coastline. For a romantic trip or quiet beach break, head to the secluded bay of Ao Phrao. Baan Ploy Sea come highly recommended for a luxury stay, or you can find plenty of alternatives along the main beach of Haad Sai Kaew. How to get there: Take a taxi or hop on a bus from Ekkamai bus terminal to Ban Phe pier, where you can ferry across to Ko Samet within 30-40 minutes. Nestled away from the more popular and busier of Thailand’s islands, the Similan Islands are unknown to most travellers island-hopping through Thailand – and that’s what makes them special. These 11 sand spits together form Mu Ko Similan National Park. These islands are a diver’s paradise with visibility up to 30 metres deep. 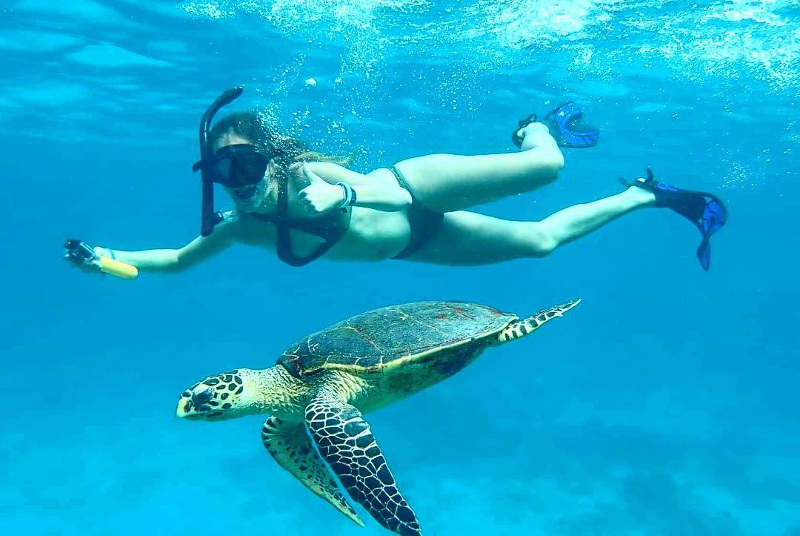 The waters are brimming with tuna, manta rays, turtles, reef sharks, barracuda, red grouper, moray eels and whale sharks. Accommodation on the islands is limited so you’ll need to book ahead of time if you’re visiting during peak diving season. Only three of the islands have accommodation – Ko Meang, Ko Similan and Ko Tachai. 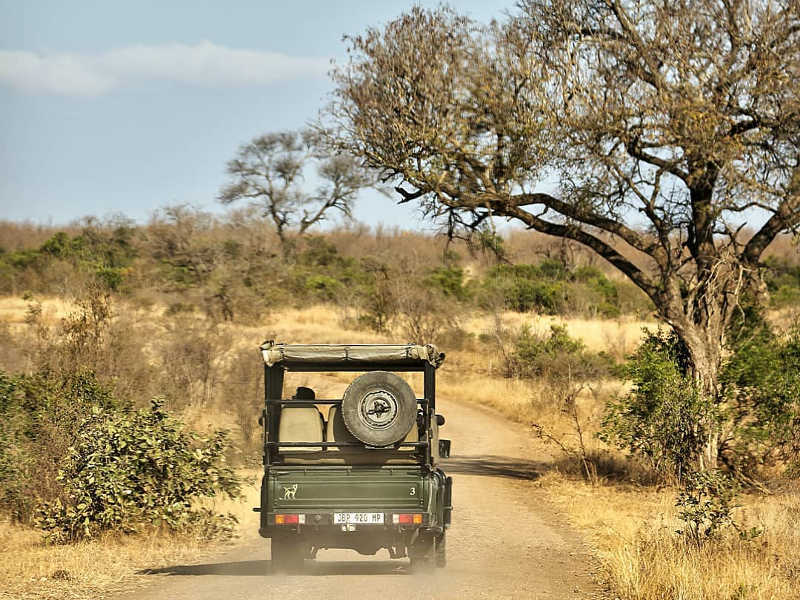 Your options are basic bungalows and tented campsites. If hotels and resorts are more your kind of thing, you’re better off staying on the Khao Lak mainland and going on day trips to the islands instead. Alternatively, you can book liveaboard boat tours for 4-5 days, giving you the opportunity to wake up between the islands, surrounded by incredible scenery and wildlife. How to get there: This diving hotspot is just two hours by boat from Khao Lak. Note that the islands are closed to tourists between May and October. Often referred to as Thailand’s hedonistic island of guilty pleasures, Ko Pha Ngan is where party animals and solo travellers go to let their hair down. Located between Ko Samui and Ko Tao, island hopping between these three islands is a popular choice. 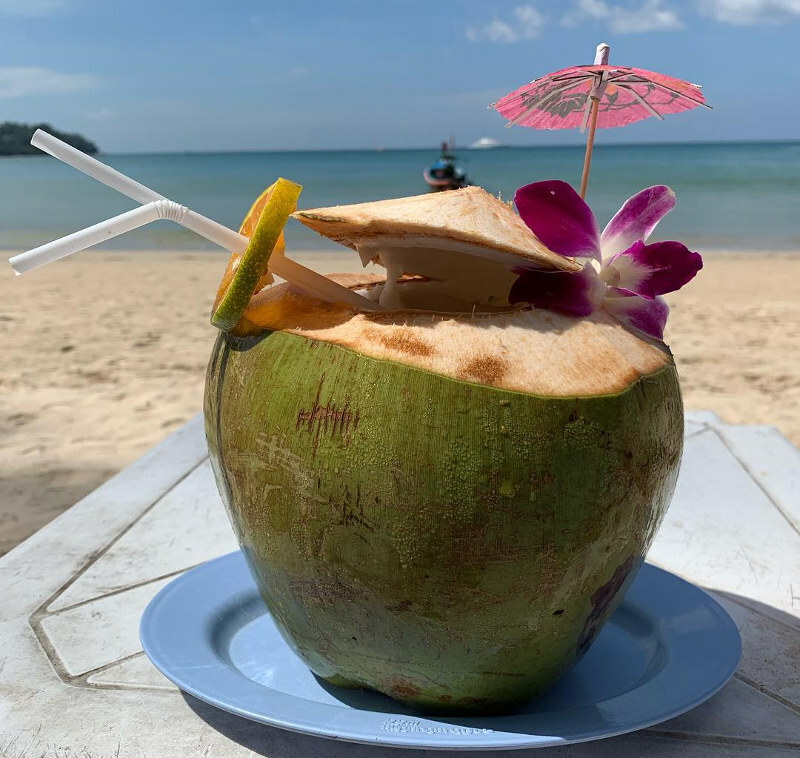 Ko Pha Ngan is synonymous with full moon parties and the best ones can be found on Haad Rin’s Sunrise Beach during August, December and January. Expect action-packed beach and cocktail bars every night of the week. By day you can rent a scooter or tour guide and explore the Buddhist temples, scenery and viewpoints around the island. Phaeng Waterfall, the hidden Chaloklum Beach and the herbal sauna at Wat Pho are a few highlights not to be missed. There is no shortage of much-needed luxury spas and meditation retreats around the island. Le Divine Comedie is a stunning beach resort with all the trimmings 15 minutes away from the action. If you want to stay in the heart of full moon party atmosphere, Suncliff Resort offers dorms and private rooms overlooking the beach. How to get there: You can easily reach Ko Pha Ngan via a short one-hour ferry ride from Ko Samui. Calling all romantics and honeymooners alike. With its apricot sunsets, lively cocktail bars and unspoilt beaches, Ko Lipe sets the tone for romance. The island is void of large beach resorts, giving you long stretches of unspoilt beaches all to yourself. Ko Lipe is home to three main beaches – Sunrise, Sunset and Pattaya beaches – all within a 15 -minute walk from each other. 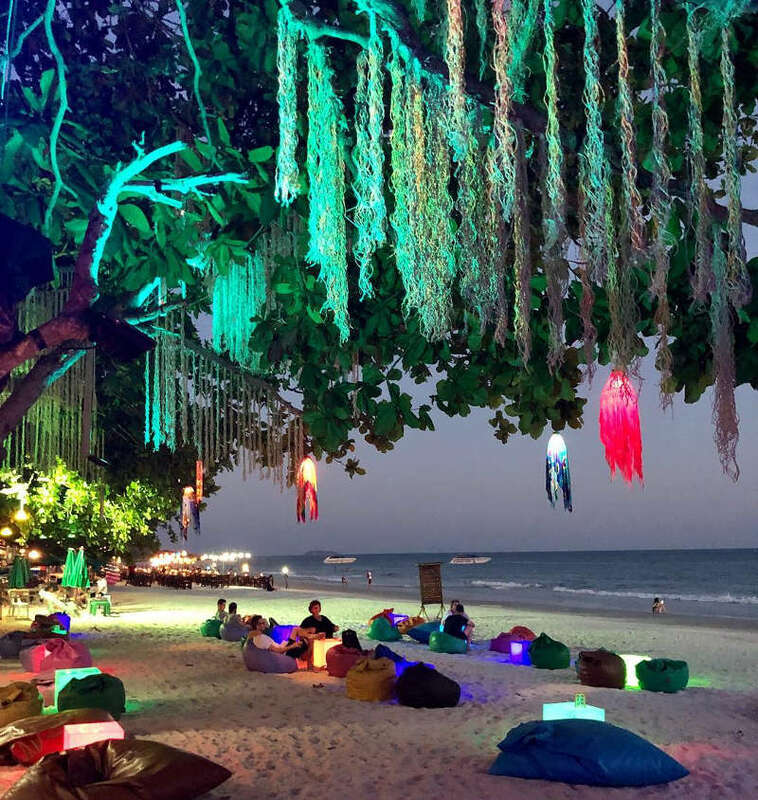 Pattaya Beach hums with restaurants and late-night beach bars, while Sunrise Beach is perfect for snorkelling, long romantic walks, catching a tan, and luxuriating in mostly high-end resorts. 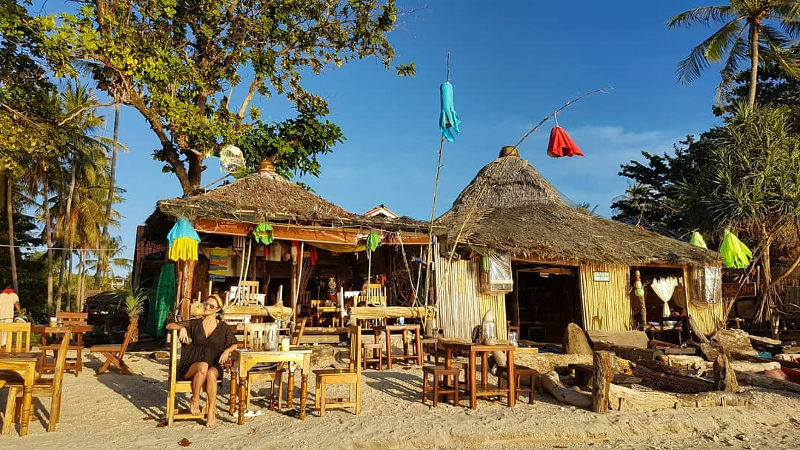 Pop into any of the restaurants along ‘Walking Street’ before heading off on an island-hopping tour or kayaking to a few private beaches, ending off at Ko Adang for sunset. You’ll find varied accommodation on Ko Lipe. Popular options include Salisa Resort and Bloom Café and Hostel. 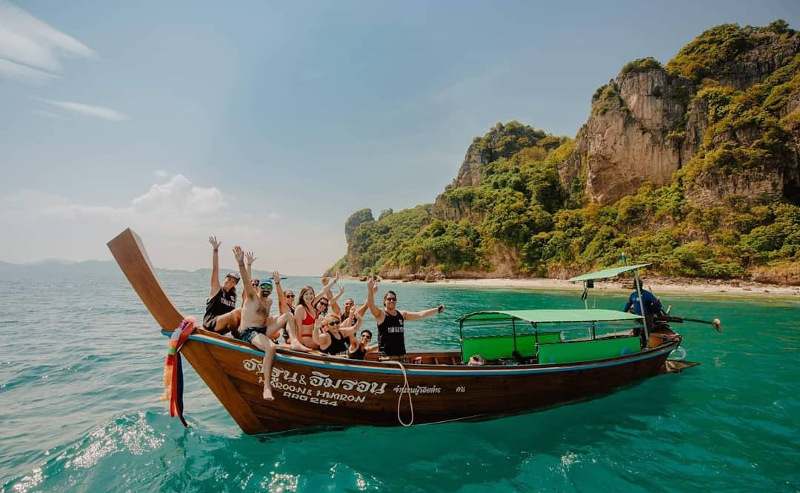 How to get there: The quickest way is to fly into Hat Yai, and hop onto a shuttle down to Bak Para pier where a ferry will take you to Ko Lipe for around 650 Baht. The entire island is walkable, and you won’t find many motorised vehicles apart from a few motorbikes and motorbike taxis (with sidecars). 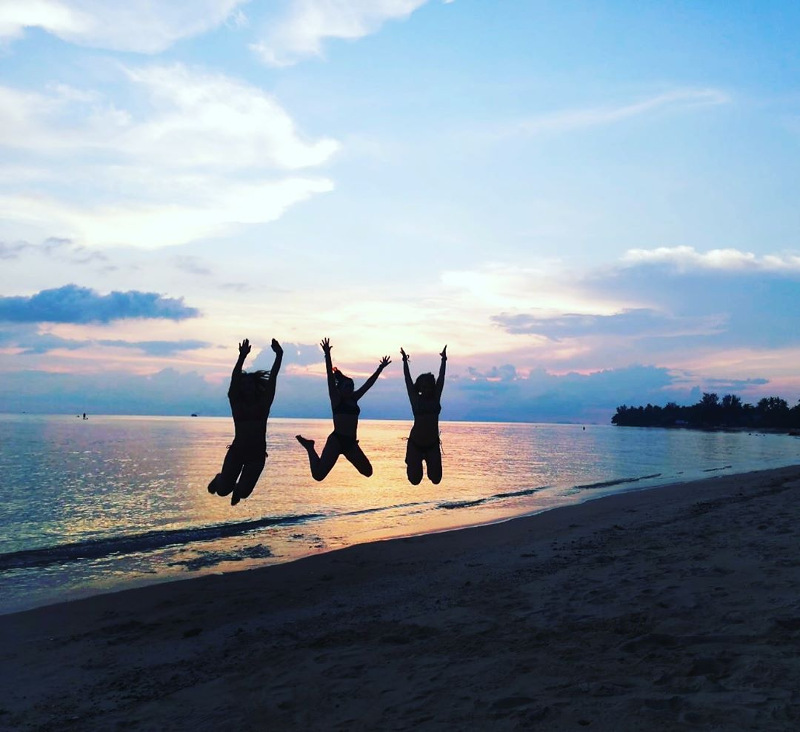 The second-largest of Thailand’s islands, Ko Chang is all about the simple life. Touching borders with Cambodia, the island is clad with dense forests, waterfalls, rivers, and hiking trails aplenty. Kayak through the mangrove swamps and stop to admire the local fishing traditions in Salakkok Bay. Don’t leave Ko Chang without taking a cooking class – there are lots to choose from in Klong Prao village! Escape to Had Sai Noi Beach for a drink at one of the bohemian beach bars. Try some fresh crab at White Sands Beach night market, and end off your night watching the flame-throwers and dancers along Lonely Beach. Channel your inner ‘chi’ with yoga classes at The Mangrove Hideaway or enjoy the family villas at Serenity Resort. 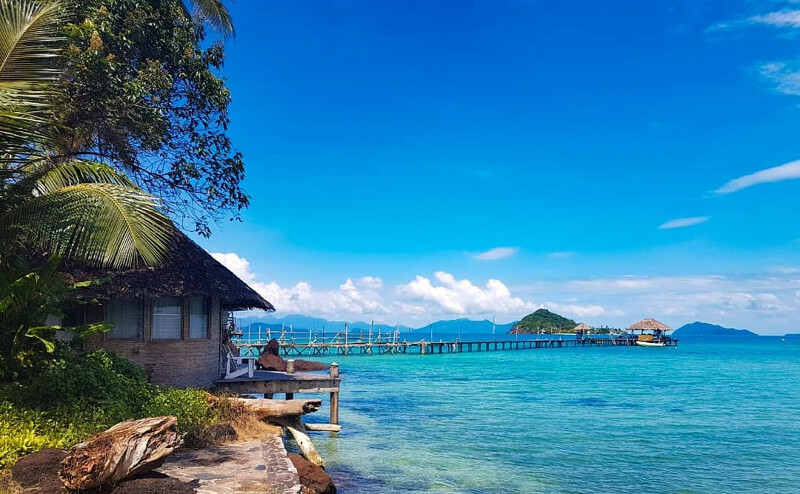 How to get there: You can reach Ko Chang by flying to Trat Airport, catching a shuttle to the pier and hopping on a ferry straight to the island. Beach yoga? Check. Water parks? Check. Thrilling nightlife? Check. Celebrity-chefs and private butlers? Check. Yip, Phuket has it all. There is no whim or fantasy that Phuket can’t make true. This famous island caters to every traveller, whether you’re after a lowkey stay or plan to live it up in style. 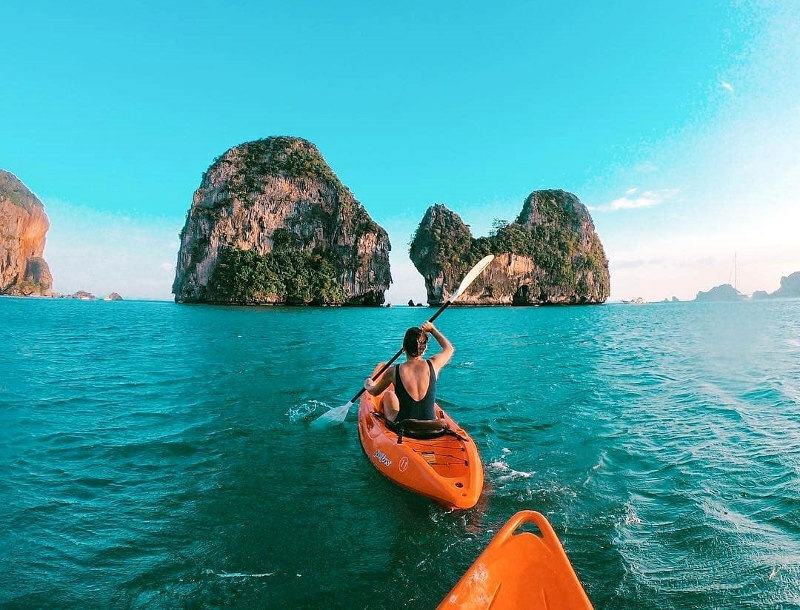 Just a short 90-minute flight from Bangkok, Phuket is home to an array of designer boutiques, world-class cuisine, golf courses, museums, aquariums and water parks, and endless beach resorts ranging from the basic to the lavish. 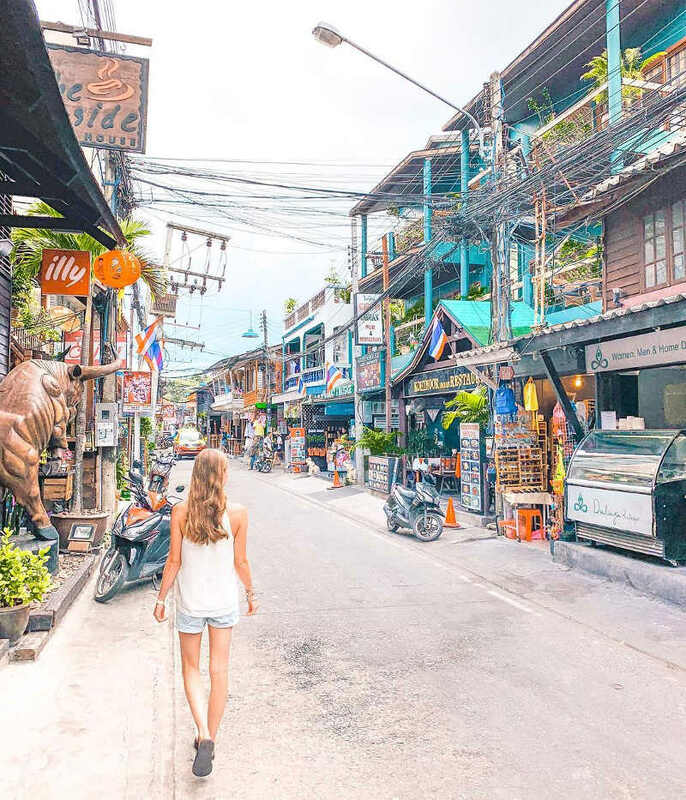 Phuket is especially busy between November and February, so if you’re after a quieter crowd, consider going between March and May just before the rainy season sets in. Kata Noi and Mai Khao beaches are perfect for a more laidback vibe; while Patong is notorious for its heaving nightlife and night markets. The drive to Patong beach alone boasts phenomenal views of the karst islands dotted around Phang Nga Bay. 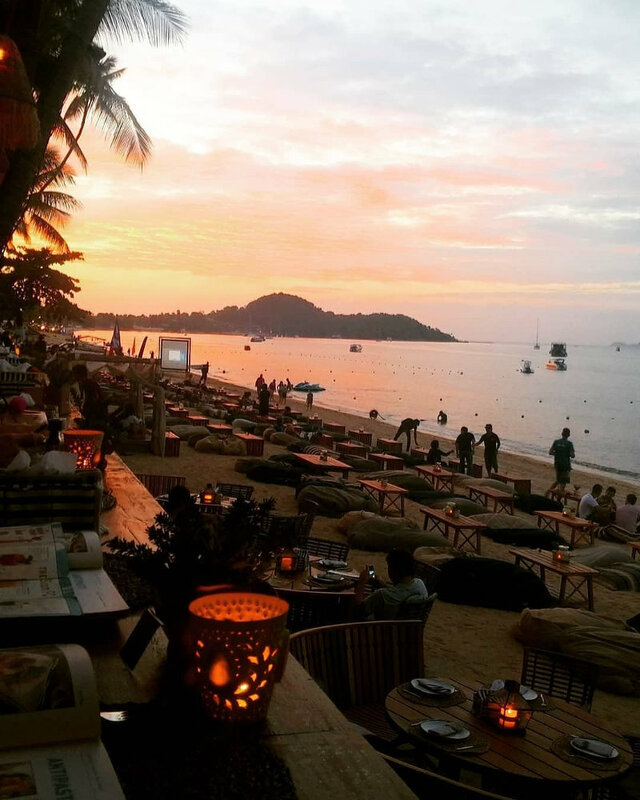 Bang Tao Beach is a firm favourite with its big, swaying coconut palms and reggae beach bars. COMO Point Yamu is an idyllic honeymoon stay just 20 minutes away from the beach. For a pampering retreat, Impiana Resort Patong comes highly recommended, while the modern Hugger Hostel in Phuket Old Town is a chic, budget-friendly alternative. Ko Lanta is your all-around island where you can experience a bit of everything. Less than an hour’s boat ride from Krabi, Ko Lanta is all about serenity, nature and fantastic seafood. The island is over 30km long and is navigable by scooter. By day you can explore the local fishing communities and sit down to a cold beer and seafood spread with the locals. 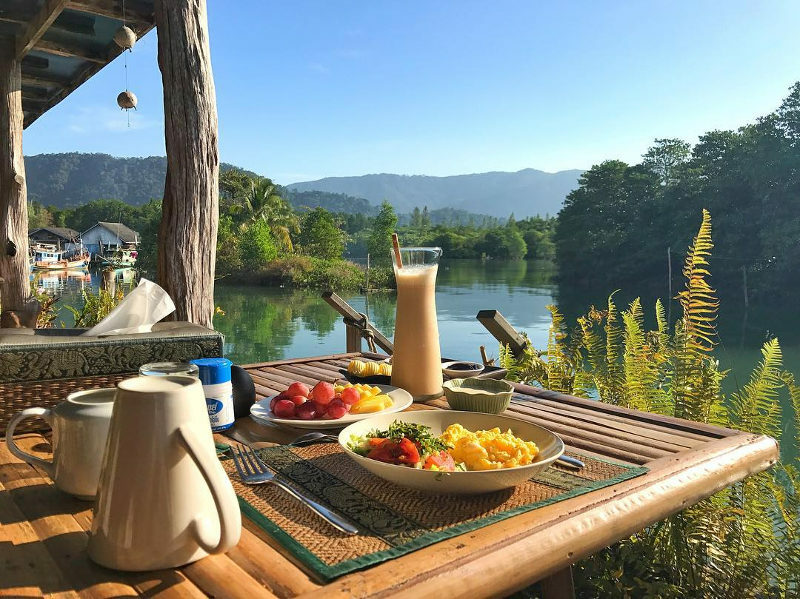 Kayak through the mangrove swamps, explore the caves on Ghost Island, hike between the jungle teahouses, indulge in a mandatory beach massage, take a cooking class and perfect your golden tan – Ko Lanta is where you come to get away from it all and relax. Backpacker lodges have recently given way to upscale, luxury resorts but you can still find affordable bungalows and guesthouses throughout the island. Klong Nin is a peaceful alternative to the tourist bustle of Long Beach, and Baan Pakgasri Hideaway offers a rustic beach break. For something more upscale, Twin Lotus Resort and Spa is an adults-only oasis. 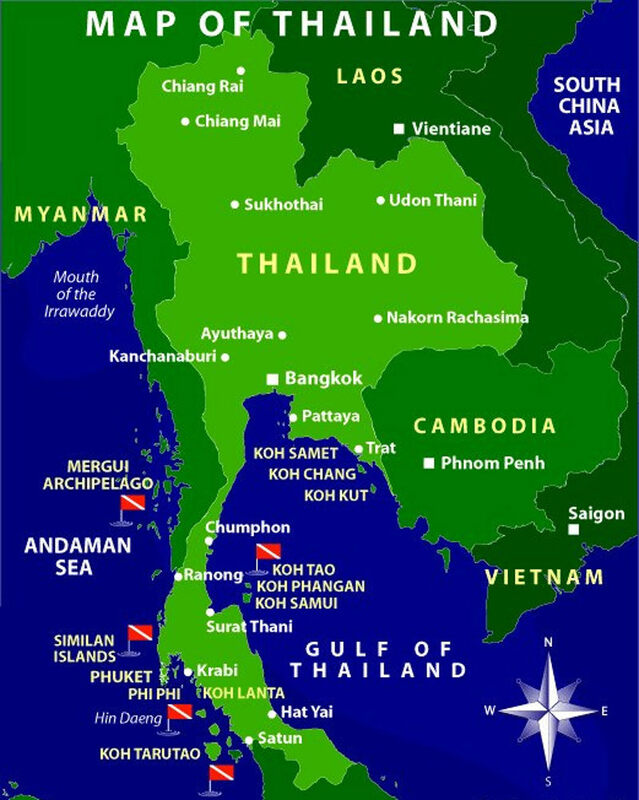 How to get there: Ko Lanta is easily reachable via ferry or speedboat from the surrounding islands. If you’re coming from Krabi, travelling by shuttle and car ferry is the cheapest option. Ko Samui needs little introduction. There is plenty to see and do on the island and there is something for everyone. 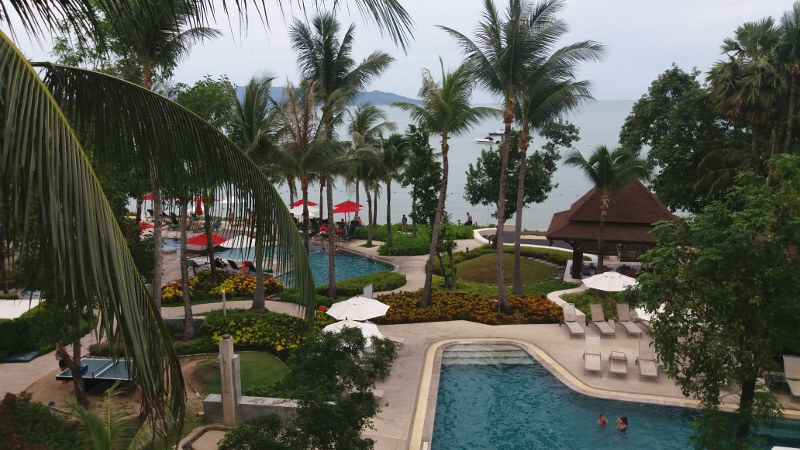 Ko Samui best suits families and those looking to unwind and absorb island life. It is a firm favourite for holistic retreats and yoga sanctuaries – you can find classes almost anywhere. If you’re in search of a party scene, make your way to Chaweng. Home to more of a young crowd, Chaweng is packed with busy beaches, bars and restaurants. Further north of the island lies Bophut – the perfect location for those looking for a relaxing vibe with a bit of atmosphere. 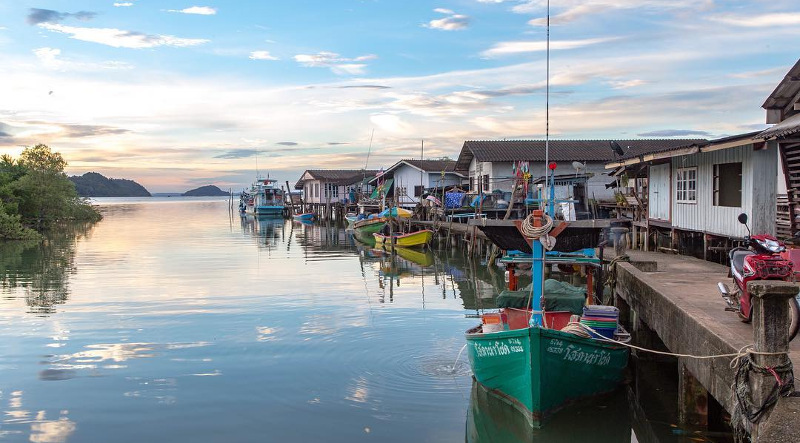 Fisherman’s Village is a great day or evening tour, bustling with street food, night markets, cute boutiques and the long beaches all to yourself. Ko Samui is home to some spectacular waterfall treks and mountain bike trails for a day off the beach. To get around you can hire a scooter and easily make your way around the entire island in a day. There are also plenty of taxis available to transport you to and from the port. From cosy beach bungalows to exclusive private villas, Ko Samui has endless accommodation options. New Hut Bungalows offer simple beach huts, while Sea Dance Resort is great for couples. How to get there: If you’re limited for time, you can fly straight to Ko Samui Airport. A cheaper option is to fly from Bangkok to Surat Thani and hop on a ferry to the island. You can add around three hours to your trip from Surat Thani Airport to Ko Samui. You could describe Ko Tao as a blend of Ko Samui and Ko Pha Ngan. What’s great is that you can visit all three of these islands within a week and have a very different experience on each of them. 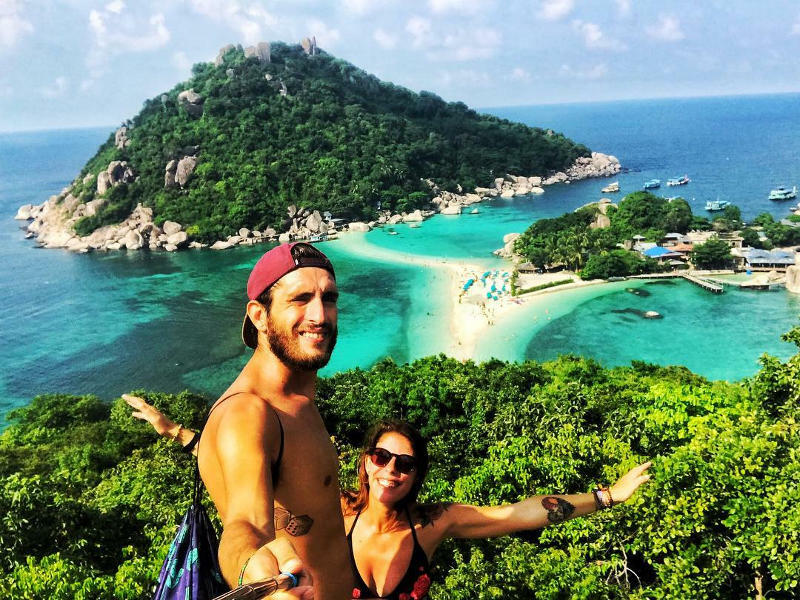 Ko Tao is perfect for outdoorsy types, so if rock climbing, hiking, cycling, wakeboarding, kitesurfing and scuba diving is your thing, Ko Tao is your island! You can also pick up some Muay Thai classes to test your fitness. 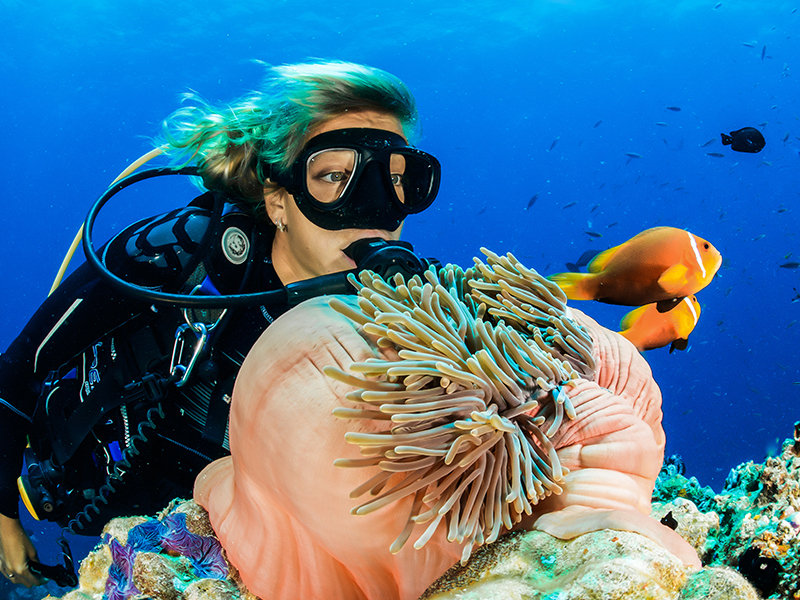 Ko Tao is recognised as one of the best diving places in the world, and you can easily do your open water course or more advanced diving courses at any of the PADI centres on the island. The longest and busiest beach on Ko Tao, Sairee Beach is a great spot to catch a tan, play some volleyball and watch the sunset, cocktail in hand. By night, the beach bars come alive with reggae beats and fire dancers. You’ll find plenty of family-friendly accommodation in Ko Tao. Some favourites include Haadtien Beach Resort near Mae Haad Bay and Beach Club by Haadtien. How to get there: Ko Tao is a two-hour ferry ride from Ko Samui. As any traveller to Phi Phi will tell you, the Phi Phi Islands are the poster-child for Thailand’s beaches. With its dramatic limestone cliffs, turquoise bays and silky-soft sands, it’s no wonder this iconic island group is on every traveller’s list. Unlike its wild sister island, Ko Pha Ngan, Phi Phi attracts more of a sophisticated young crowd looking to have a good time. The absence of frenetic scooters lends to the slow, chilled pace of Phi Phi’s atmosphere, and you can settle into quieter surroundings to the north of the island. Phi Phi’s claim to fame is Maya Bay (along the smaller island of Ko Phi Phi Leh) where the film, The Beach, was filmed. Access to the beach is currently closed to allow the ecosystem and coral reefs to recover but you can hop on a sleep-aboard boat and tour the bay and surrounding islands. Tonsai and Loh Dalum beaches boast lively beach bars and fire dancing where you can party under the stars all night long. Phi Phi Don is the bigger of the two islands that make up Phi Phi, and is home to some of the best beach resorts. For an extravagant splurge, spoil yourself at the 5-star Phi Phi Island Village Beach Resort, featuring a dive centre, spa, infinity pool and private beach. Solo travellers might enjoy staying at Ibiza House Phi Phi, with its selection of dormitories, private rooms and villas, as well as live DJ sets and pool parties. From rock climbing and snorkelling to pool parties, beach hangovers and Muay Thai fights, you definitely won’t be bored on Phi Phi Island. How to get there: A short one-hour ferry ride from Phuket, or 90-minute ride from Krabi or Ko Lanta will get you to the Phi Phi Islands. Do not ride elephants or take photos with exotic animals – this fuels animal abuse. Respect the beaches and sea animals. Do not touch or walk on the corals. Keep enough cash on hand – not all islands have foreign exchange bureaus. Always wear a life jacket when taking a ferry or boat trip – you never know when you may need to swim ashore. Tuck into all the local dishes, and try a ‘special’ coconut – with rum! The dry season runs from November to April. Peak season on Thailand’s islands falls between November and February, especially over weekends, so book your accommodation in advance. Ready to explore Thailand’s islands with all their beauty, sun-kissed beaches and exciting activities? 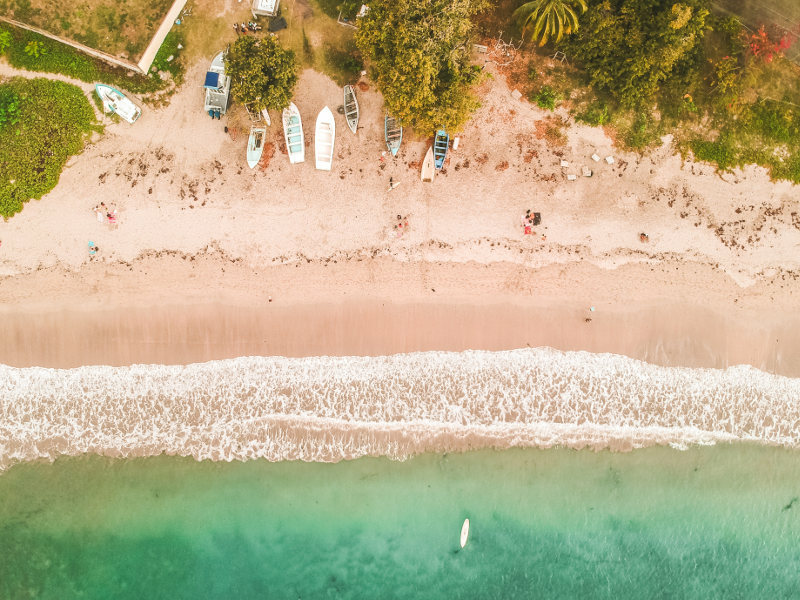 Whether it’s thrilling nightlife you’re after, or a more laidback holiday lazing under towering palm trees, you’ll find it difficult to return home once you’re living the island life. 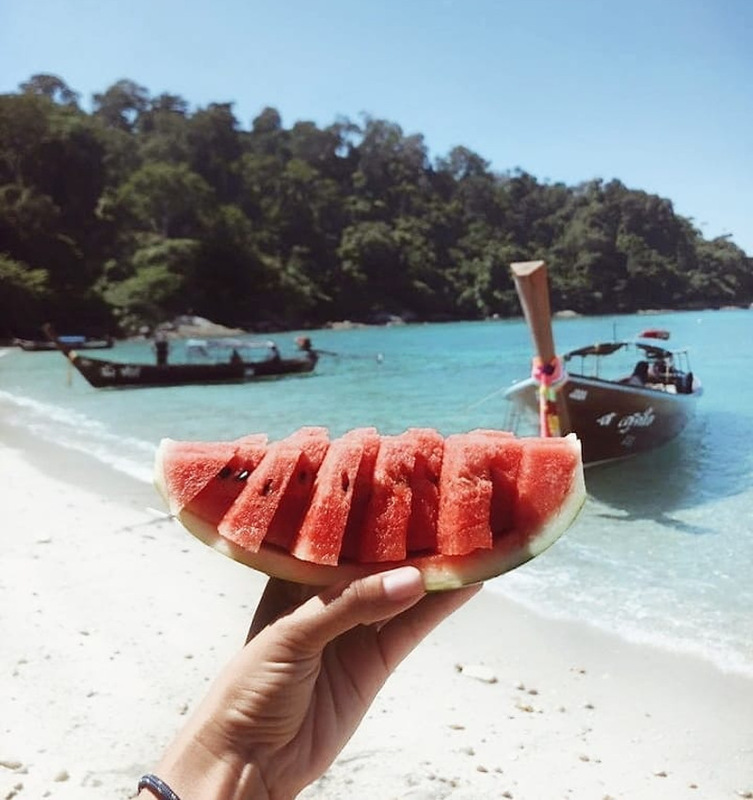 Make sure you add these 5 key ingredients for the perfect holiday in Thailand! Book cheap flights to Thailand with Travelstart.co.za! Tell us which of these islands in Thailand is your favourite in the comments below. 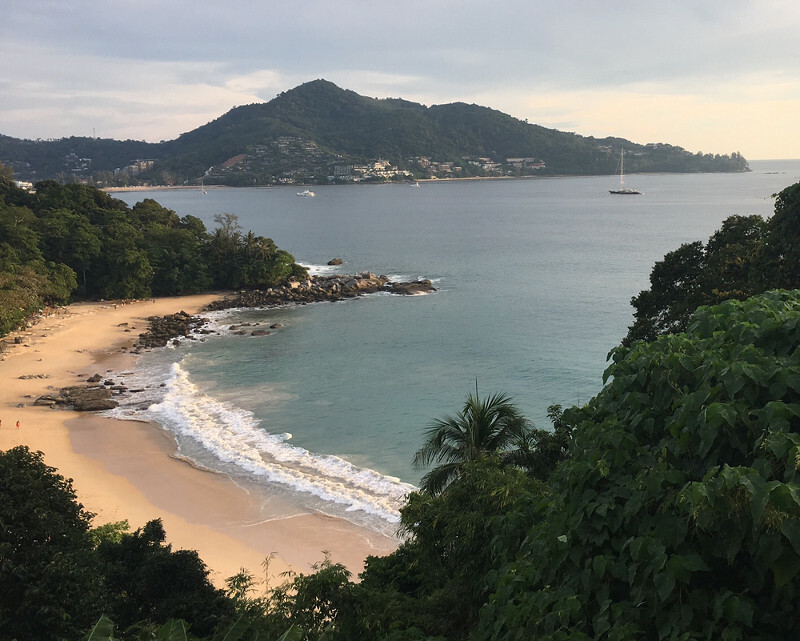 Ko Lanta is my favourite island so far – it’s relaxing and romantic and the beaches are beautiful! I would however love to see Ko Samet and Ko Pao. Sounds like Ko Chang must be the next island to visit. Waterfalls, forests, mangrove swamps, Thai cooking classes and drinks at bohemian Beach bars will be a dream to remember. We have been to Thailand seven times as a couple. Done the East Coast and West Coast including most of the islands. All of Thailand is brilliant not only for the beaches or nightlife, but for the attitude of the people. One only has to be in Thailand for 24hrs, and one feels as though one has been there for days already. Two of the best islands are Koh Lanta and Koh Mak. Both have amazing beauty and something for most tourists. Any island would do though.